This workbook uses exercises and assignments to help students develop proficiency using Python in the ArcGIS environment. Redlands, California—Python is a key tool for scripting geoprocessing functions and tasks in ArcGIS for Desktop, but many GIS professionals have not had the opportunity to learn it. 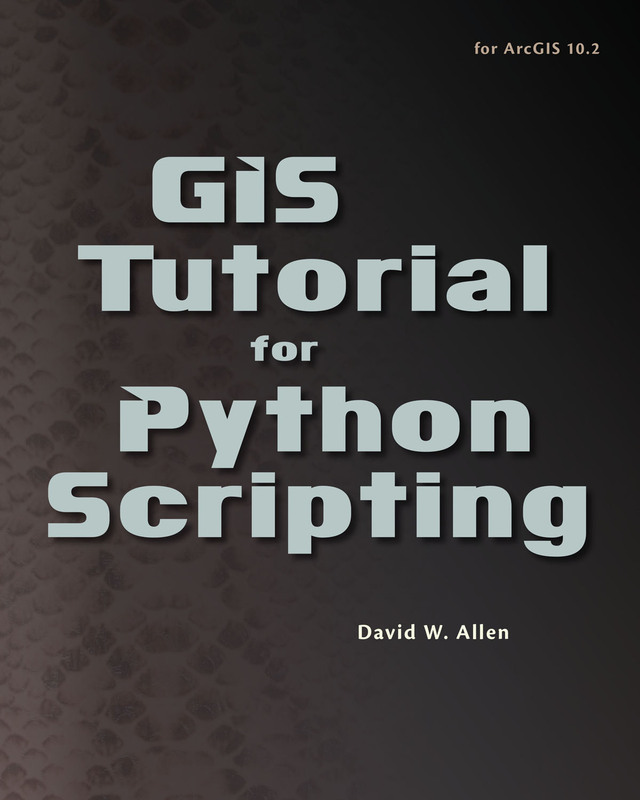 New from Esri Press, GIS Tutorial for Python Scripting, by David W. Allen, is a workbook filled with hands-on programming exercises. It will help GIS users become comfortable working with Python, whether on-the-job or within an advanced GIS course. Python helps make workflows in ArcGIS for Desktop more efficient and saves countless hours by automating repetitive tasks. Saving time on many GIS tasks by using Python scripts to automate workflows. Customizing ArcGIS for Desktop to better match the work at hand with custom menus and add-ins. Easily sharing Python toolboxes and scripting tools with others in the organization. To gain the most value from the book, some prior experience using ArcGIS for Desktop is required. Exercise data is provided and instructors can request supplemental resources for coursework. Allen is the GIS manager for the City of Euless, Texas. He has taught at Tarrant County College since 1999, where he helped found one of the first GIS degree programs in Texas and establish a state standard for GIS degree programs. He is the author of GIS Tutorial 2: Spatial Analysis Workbook (Esri Press, 2013) and Getting to Know ArcGIS ModelBuilder (Esri Press, 2011) and the coauthor of GIS Tutorial 3: Advanced Workbook (Esri Press, 2011). 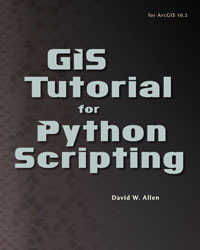 GIS Tutorial for Python Scripting is available in print (ISBN: 9781589483569, 288 pages, US$69.99) and e-book format (ISBN: 9781589483972, 288 pages, US$69.99). The book is available at online retailers worldwide, at esri.com/esripress, or by calling 1-800-447-9778. Outside the United States, visit esri.com/esripressorders for complete ordering options, or visit esri.com/distributors to contact your local Esri distributor. Interested retailers can contact Esri Press book distributor Ingram Publisher Services.